I love recycling. I get such a thrill from using “this” item for “that” when it’s supposed to be used for “that other thing”. More clearly, finding alternative uses for everyday items makes me feel resourceful and, ok, clever. Before I throw away something I feel has no value, I brainstorm other uses that will help to organize my home and my life (and save me money, too!). 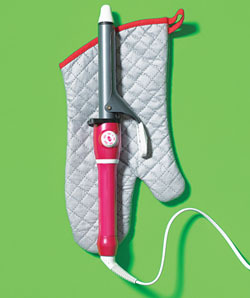 Check out a few of these inventive uses for stuff you probably already have. Everyone knows that children fall for handsome packaging even more than adults do. Plastic Easter eggs make great snack holders all year round. 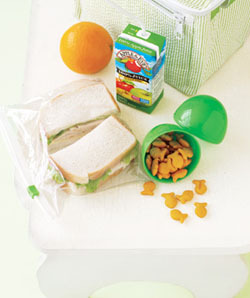 Fill them up with goldfish, pretzels or dried fruit and stash them in lunch boxes or the car. 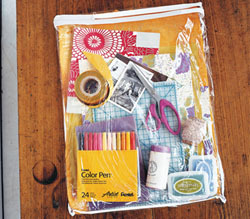 Those plastic zippered bags in which new sheets or linens are sold make excellent containers for art supplies, toys (especially toy “sets” that have tons of little pieces), hair accessories or stationary. And just about a million other things you could think of. If fabric-softener sheets make your clothes smell nice in the dryer, just think about what they could do in your dresser. 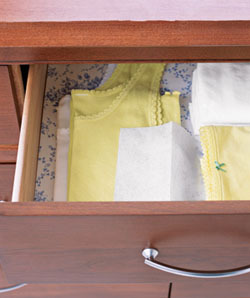 Slip a few fresh ones between folded clothes in each drawer. This works especially well when using antique bureaus for clothing storage. Because old does not smell pretty. Free up some counter space by using a clip-on highchair to the kitchen island or side table as catchall. 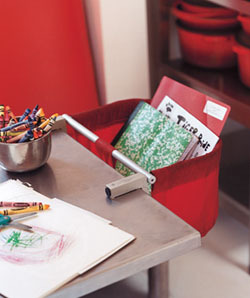 Great solution for stashing mail, magazines and permission slips. If you’re like me, I can’t seem to find the right size toiletry bag for anything longer than an overnight trip. Most or too small or rival the size of my actual suitcase! 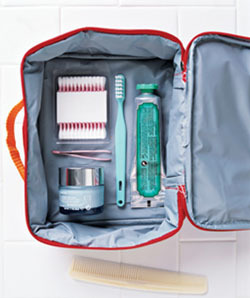 Those soft-sided lunch boxes are the perfect size for corralling hair brushes, full size bottles of shampoo and face wash. Search hard enough and you can find a neutral design instead of the Spiderman or Cinderella one. 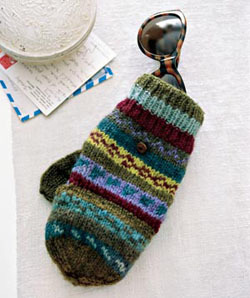 Lose your glasses case and/or lose a mitten? Save your shades from scratches by slipping them into a spare mitten before stashing them in your purse or glove compartment. Takes up waaaaay less room in your bag, too. When you don’t have time to let your styling tool cool (say, you’re headed for the airport or going straight to work from the gym), stash it in a heat-resistant mitt before packing it up. Now that’s hot! Want to see more awesome tips? Visit our, wait for it… Awesome Tips page! Have you discovered alternative uses for everyday items? Share your tricks with us and inspire others to recycle, reuse and repurpose! Previous PostEasy after-school Rainbow Rice Krispie Treats. Now you look like a hero. Stash a few dryer sheets under your car seats — way cheaper than car deodorizers.